Social media has become a pivotal part of today’s society. With a surge of popularity in the early 2000s, platforms like Facebook, LinkedIn and Twitter introduced an innovative way for people to communicate and share with each other globally. Over the years, these platforms have evolved from a source of entertainment to a strategic business tool. 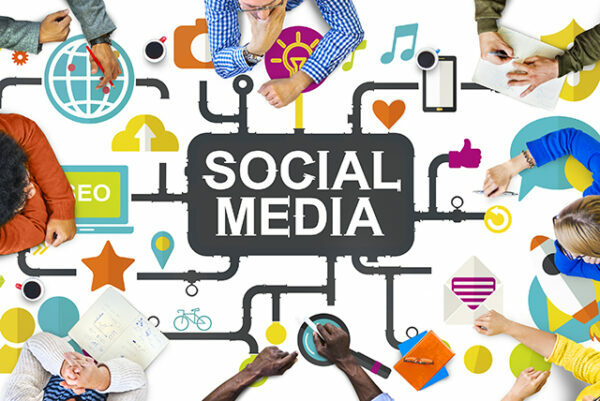 With its low paid advertising costs and free organic reach potential, social media can drive a nonprofit’s brand awareness while engaging with loyal and prospective supporters. But how do you stand out from the thousands of other organizations that are accelerating their social media presence? With all the different social media networks available, it is easy to feel overwhelmed. But there is hope! To reap the benefits that social media has to offer, you need a strong social media strategy, which is easier than you think. By answering a few questions, you will be on your way to establishing an effective social media strategy for your organization to support your cause. 1.) What are your social media goals? Once you’ve established your goals, setting success metrics comes next. For example, one of our social objectives at MarkeTeam is to increase brand awareness and brand strength. One of the ways we achieve this goal is by sharing our blog posts on Facebook and LinkedIn, analyzing the blog signups and blog/website visits. With its low paid advertising costs and free organic reach potential, social media can drive a nonprofit’s brand awareness while engaging with loyal and prospective supporters. 2.) Who is your target? Zeroing in on your target audience is crucial to a successful social media strategy. Platforms like Facebook and Twitter offer a range of analytics tools to help identify the demographics makeup of your current social media following. Analyzing your current followers helps you develop an effective content strategy to garner the best results. While identifying your social media audience, consider your social media goals. For instance, another goal at MarkeTeam is to attract new nonprofit partnerships by targeting nonprofit employees. To gain traction, we promote our blog posts through social media to strengthen our thought leadership while utilizing popular hashtags to increase our exposure. 3.) Which platforms will you be using? With a number of social media platforms available, identify which networks are best suited for your organization’s needs. Establishing a strong presence on two to three networks will suffice for a successful social media strategy. Once you’ve selected your platforms, consider your voice. Will your voice be consistent across all platforms or will you utilize the different platforms to achieve different goals? At MarkeTeam, we tend to post more fun, cultural posts on our Facebook page to showcase our agency atmosphere, while our LinkedIn posts tend to be more formal, sharing industry articles and blogs to attract new partnerships and top talent. 4.) Who will take ownership of your social media? An internal social media team will allow your nonprofit to successfully execute your social media strategy. Your social media team should meet regularly to plan your content. At MarkeTeam, our team meets weekly to plan postings for Facebook and LinkedIn for that given week and establish the content curator for the week. Because the members of our internal social media team also take on other roles within the agency, content curation rotates so one person is not responsible for drafting all content. We also have an internal approval process to ensure our posts follow best practices and business rules. These simple questions are the first steps to start the process. Just as your organization’s business goals evolve, your social strategy should be reassessed and fine-tuned to make sure it continues to support your nonprofit’s mission. Start brainstorming today and make the most out of social media!